Days of Our Lives' Galen Gering Celebrates An Incredible Romantic Milestone! It's a very special day for Galen Gering who assumes the role of Rafe Hernandez on 'Days of Our Lives'. It's a day that holds a very special memory/memories for he and his wife, Jenna Hudlett Gering, a model and actress. After dating for approximately 2 years beginning in August 2013, Galen and Jenna eloped at the Elvis Chapel in Vegas on January 3, 2000. Galen looks back on the day he got married and share, "I can’t believe it was 18 years ago today when we went to that elvis chappel in Vegas and got hitched. I can remember you strutting through the Hard rock hotel with your leather pants on rocking that veil like it was yesterday. You are simply the best, coolest and hottest wife ever. And you’re also a great mother to our wild children. I love you, adore you and thank you. Here’s to many more incredible years," as he wished his wife a happy 18th anniversary. Together the couple have two children, two sons; Dillon Phoenix Gering born on August 3, 2006 and Jensen Gering born on July 17, 2008. Congratulations on 18 years together and here's to many, many more. 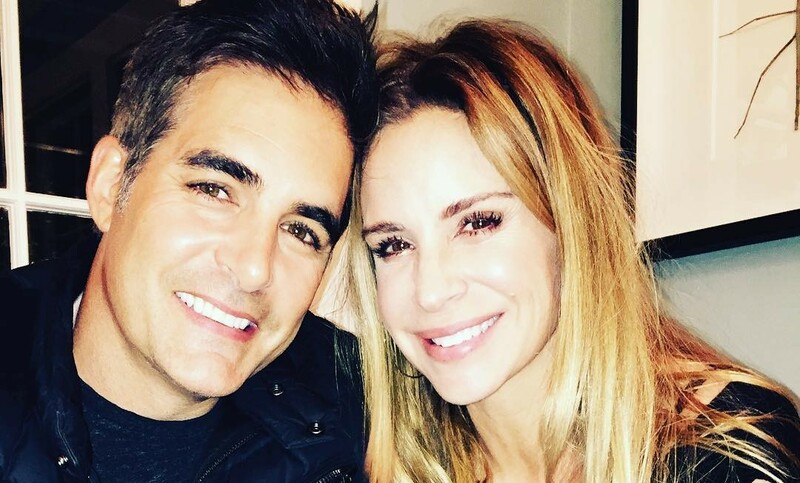 Soap Opera News: Days of Our Lives' Galen Gering Celebrates An Incredible Romantic Milestone!